Hawaii-based Pacific Resources for Education and Learning, better known as PREL, has partnered with OLPC Oceania to provide trainings in the Federated States of Micronesia (FSM). 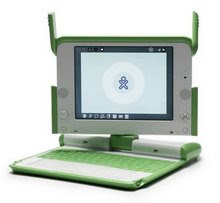 OLPC’s mission to empower children through education by giving poor students access to low-cost personal laptops aligns with the work of PREL and the goals of the FSM National Department of Education (FSM NDOE). OLPC Oceania is delighted that PREL is able to bring its skills and expertise in training and capacity-building to bear on the FSM state of Kosrae, where 2000 XO laptops have "saturated" the island's school population. Read PREL's report on OLPC in their Spring 2012 newsletter.